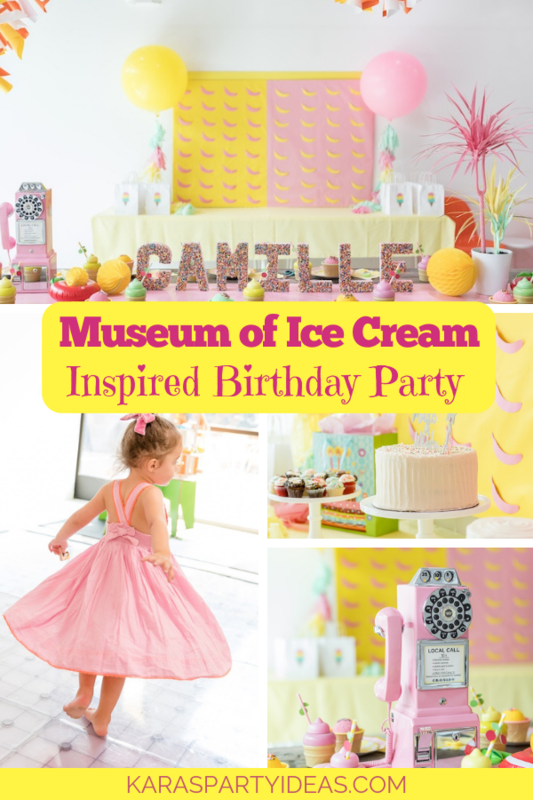 I’m absolutely giddy over this Museum of Ice Cream Inspired Birthday Party by Robyn Rockwood of the COOP-SB, out of Redondo Beach CA USA! 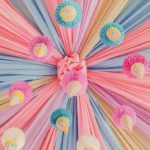 It’s darling pastel color palette paired with the cutest ice cream-inspired details are certain to make you swoon and twirl! 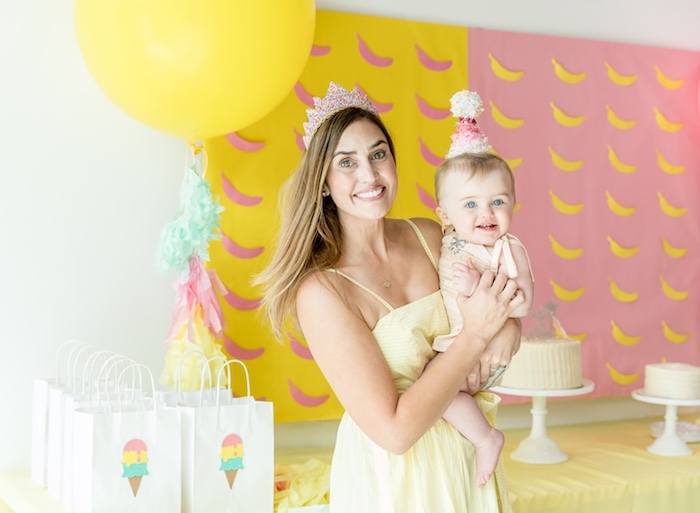 “When a mom approached us to create a party based on the Museum of Ice Cream, a recent art exhibit in Las Angeles, we were excited to start thinking outside of the party box! 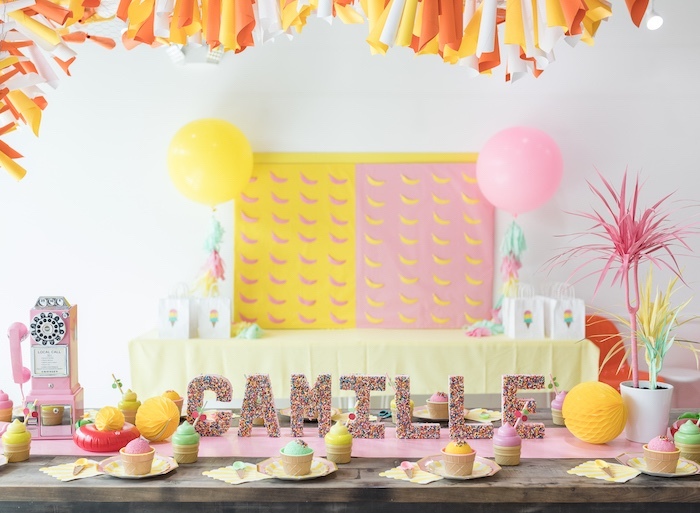 Obviously we relied heavily on a pink and yellow palette and included many of the décor items prevalently featured in photos on many personal and celebrity social media accounts. 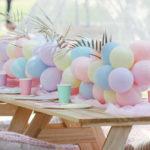 This was a party to celebrate a baby girls first birthday. 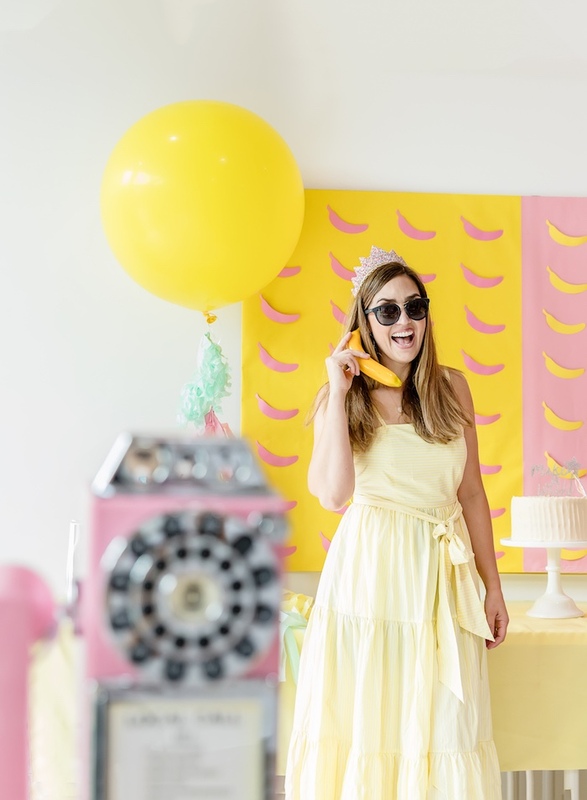 The theme was as fun, modern and unique as the lovely family for which it was created! 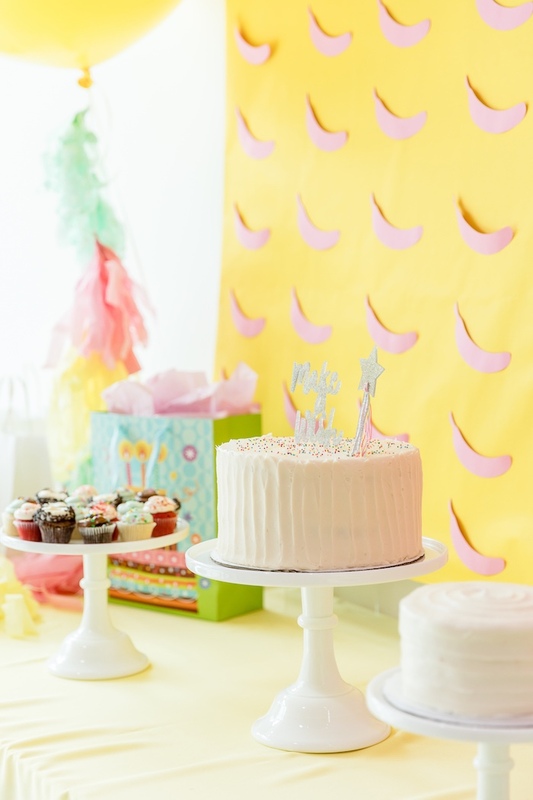 We started with a large backdrop covered half in yellow and half in pink rolled paper. 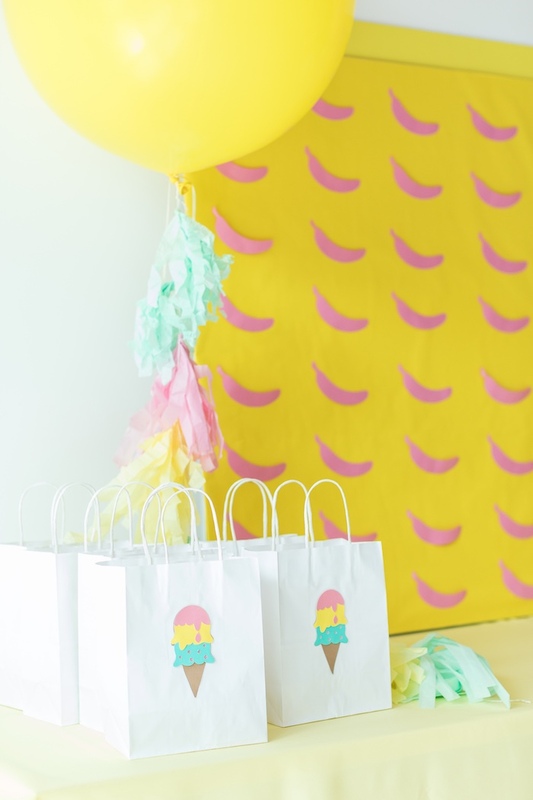 We added pink and yellow paper bananas in a grid pattern, keeping the design clean and simple. On the main table, we used a pink runner and left the rest of the wooden table exposed to create a clean modern appearance. 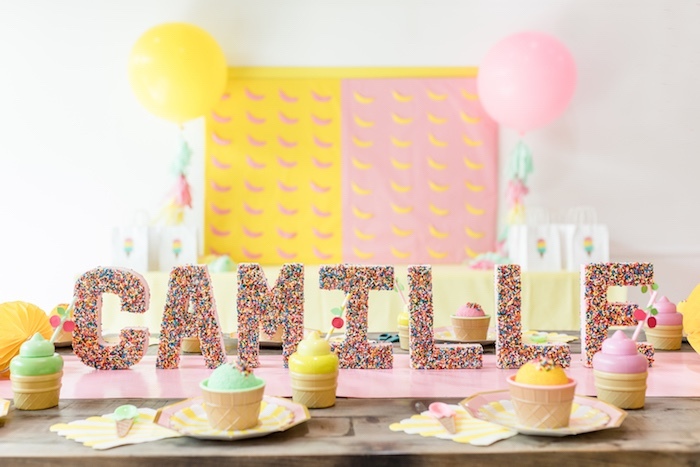 Large sprinkle covered letters dominated the center of the table, letting everyone know just who we were celebrating! 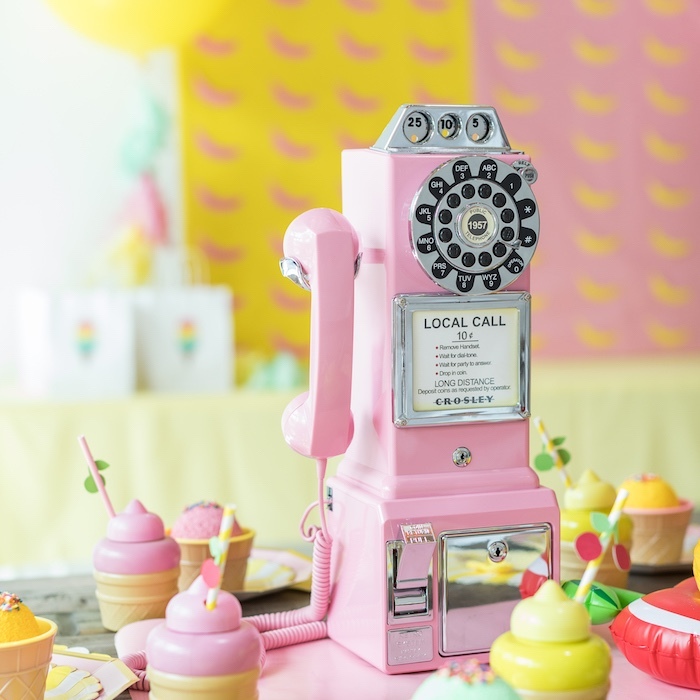 We added a large pink rotary dial pay phone, provided by the mother, and a hand-painted pink, yellow and mint green palm tree. 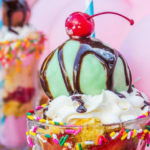 A touch of whimsy was achieved by adding a few small inflatable cherries filled with sprinkles, which complimented the ice cream theme and was also prevalent in the art exhibit. 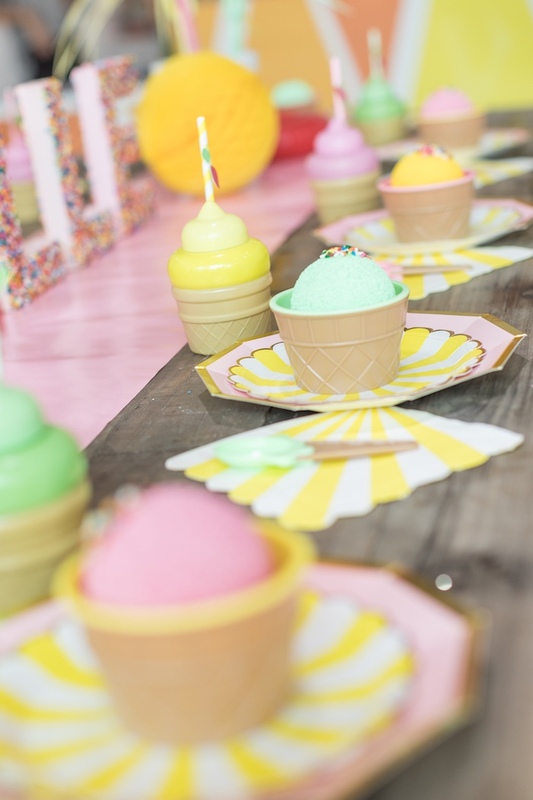 Around the border of the table, we added to the fun by using yellow and pink plates with bowls of faux ice cream. 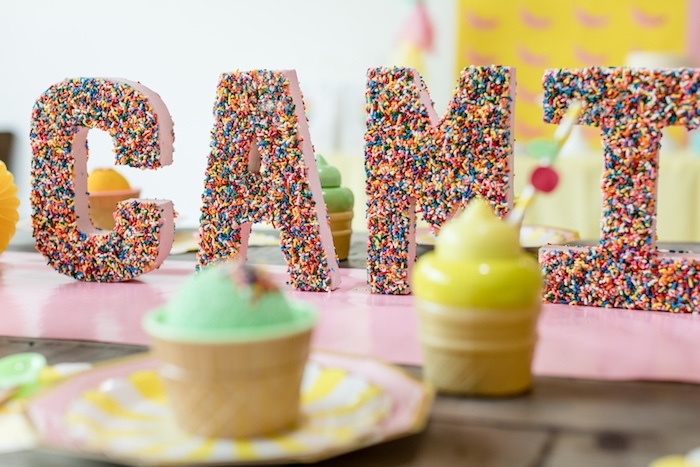 Styrofoam balls were covered in craft paint and sprinkles were glued to the top to create our faux ice cream. 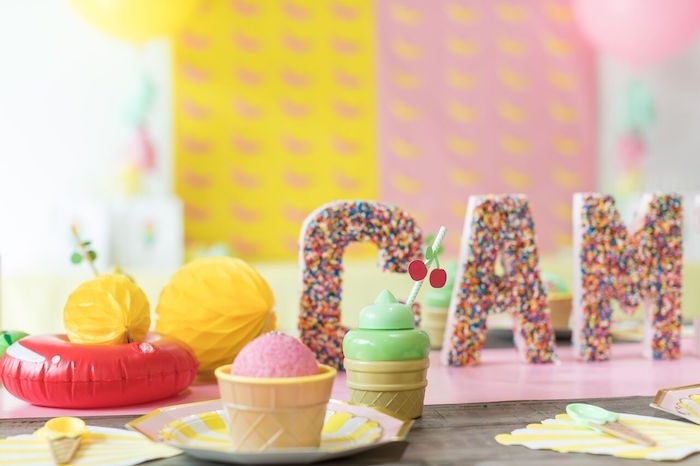 Soft serve style ice cream cups were used to add one more ice cream element to this fun theme. 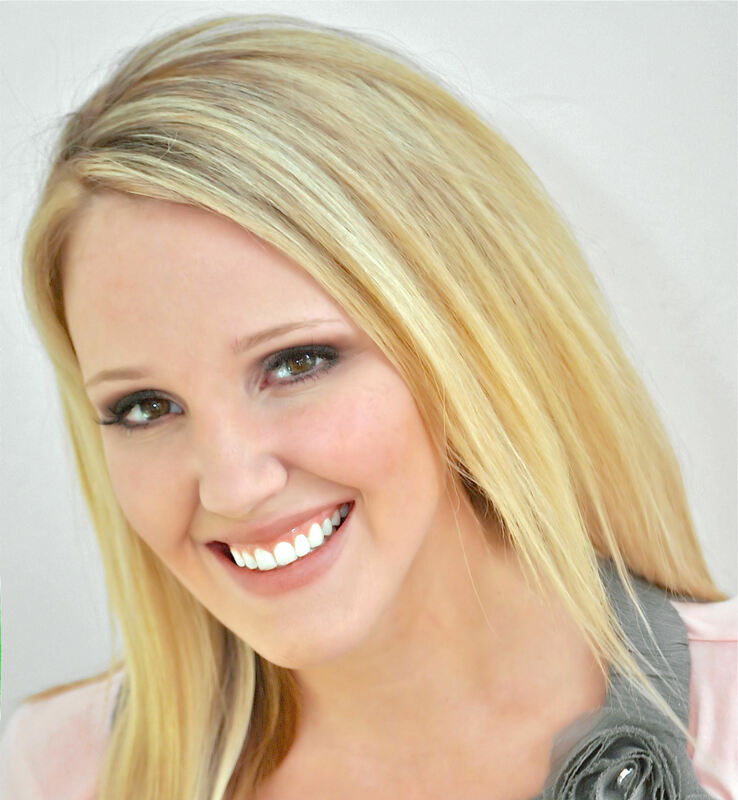 The cherry on top was literally a paper cherry décor attached to the paper straws to complete the look. 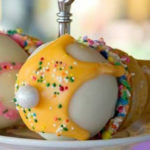 Gift bags were decorated with a double scoop of ice cream in a sugar cone. Each child happily left with a plush ice cream pillow, a plastic ice cream bowl and spoon set, and an ice cream cup and straw.